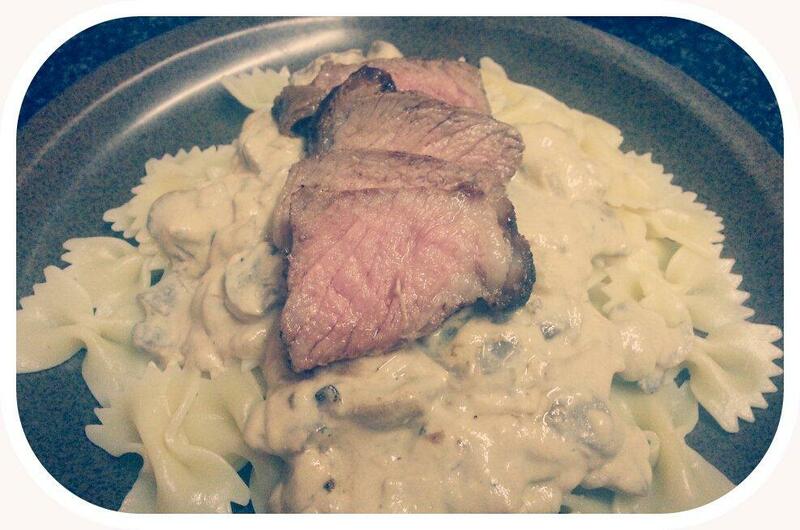 So watching the food network, Tyler's Ultimate was on, and he made beef stroganoff and it looked so yummy, I wanted to make it. One thing that is different with this recipe.... 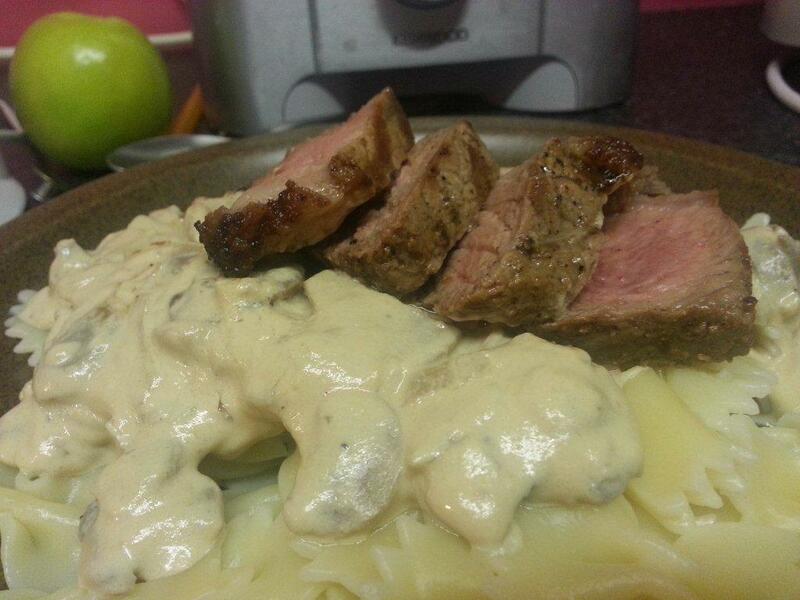 I always knew beef stroganoff to be made with beef goulash or strips... mixed in with the sauce... But Tyler used beef short ribs and just sliced them on top. I kinda like that since in my opinion, those beef strips can get pretty tough. I don't compromise on taste. Steak: I rubbed a bit of olive oil over the steak (to create a nice surface for the spice to stick to) and then sprinkled over a generous amount of salt, pepper, and braai salt. I left that to "soak in" for about an hour. 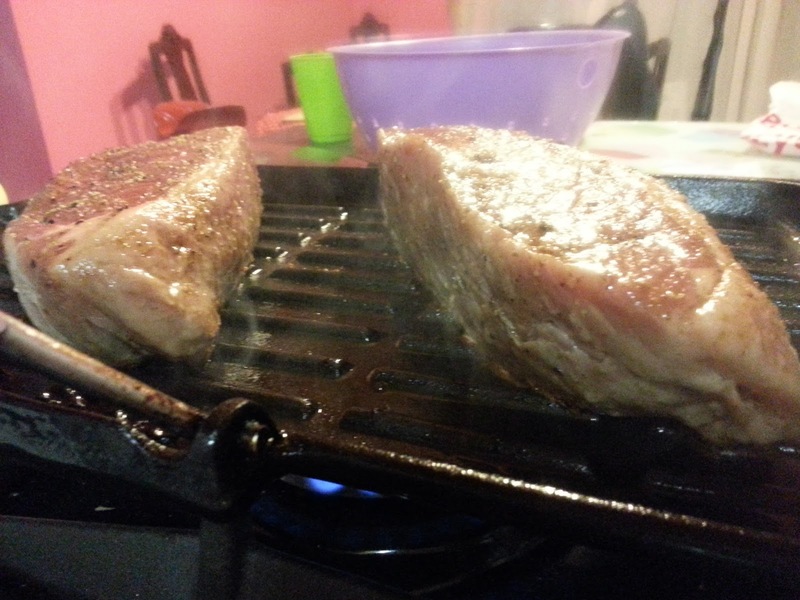 I cooked mine on a griddle pan for about 8 min each side and a min or two for the top and bottom. They were quite thick. Add the brandy! and... if you dare... flambé. 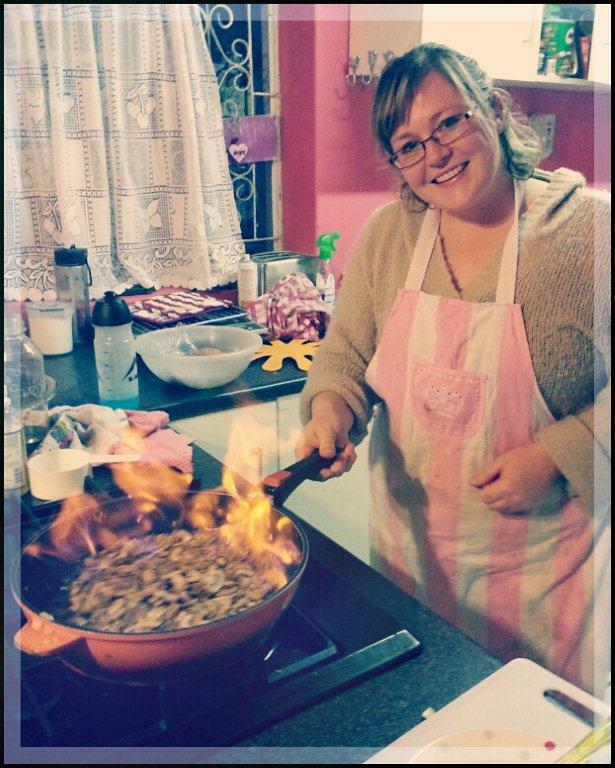 This was my first attempt at flambé and it was... (i"ll be honest) kinda scary. The flames leaping up at you! I didn't know if I should stir it or what. Initial panic over and I did stir it all around and no arm hair or eyebrows were harmed in the process. Once all the alcohol as burned off (And actually there is a bit of a debate whether it actually does or not...) Add in the ideal milk. Let the sauce simmer and thicken. Add in the mustard and the sour cream. 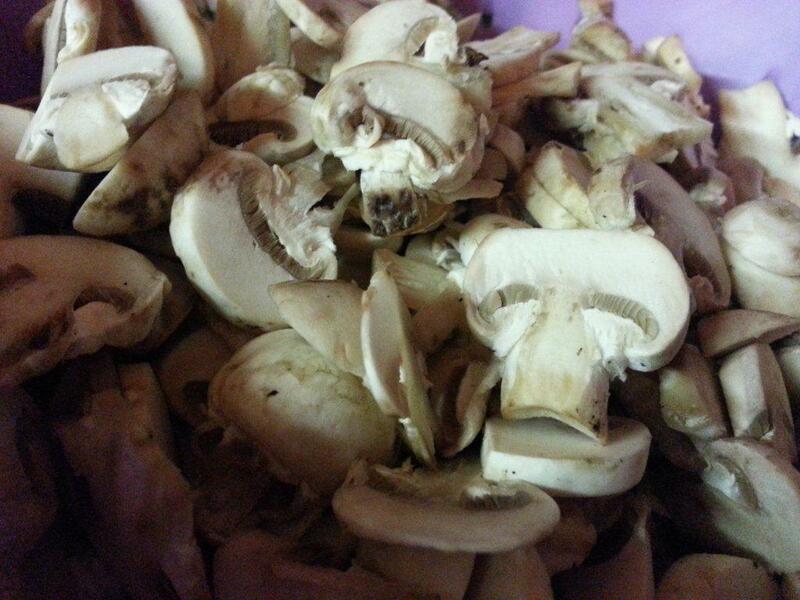 According to Tyler, this is what gives the stroganoff its distinct flavour. Leave on a simmer or turn off to be reheated once the steak and pasta is ready. 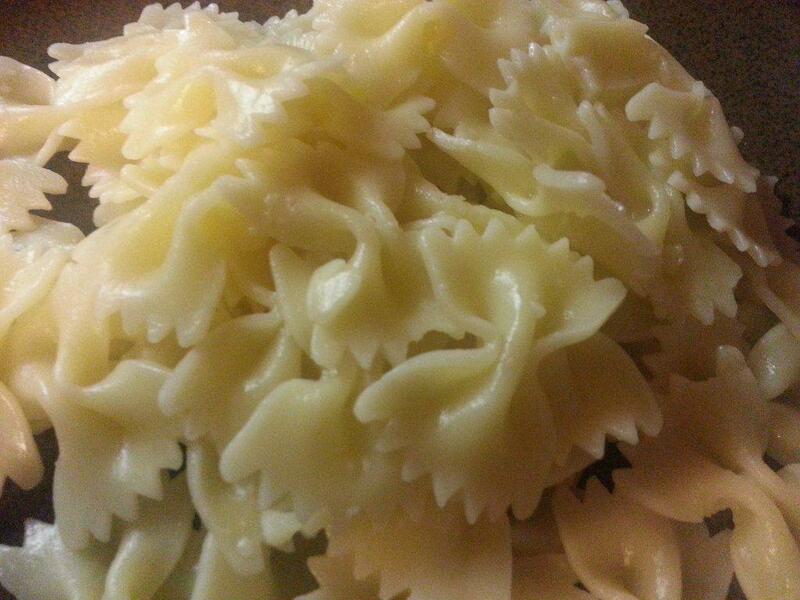 While the sauce is sorting itself out - check on the pasta... You could use whatever pasta you like, I though the bows were pretty! Once all the components are ready!... Plate up and enjoy!